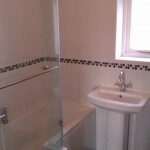 A complete refit of an en-suite. 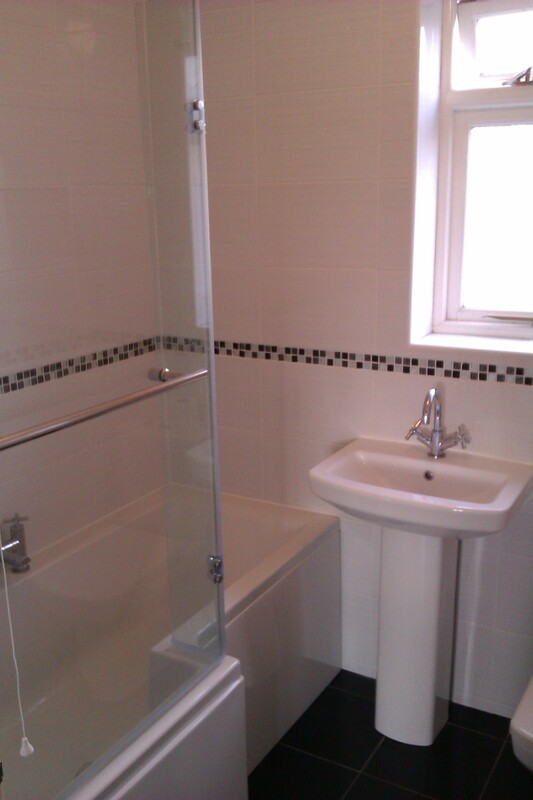 New shower, WC and basin, walls and floors tiled. 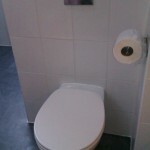 A good idea to make use of space in a bathroom is to have your WC and basin contained in cabinets. 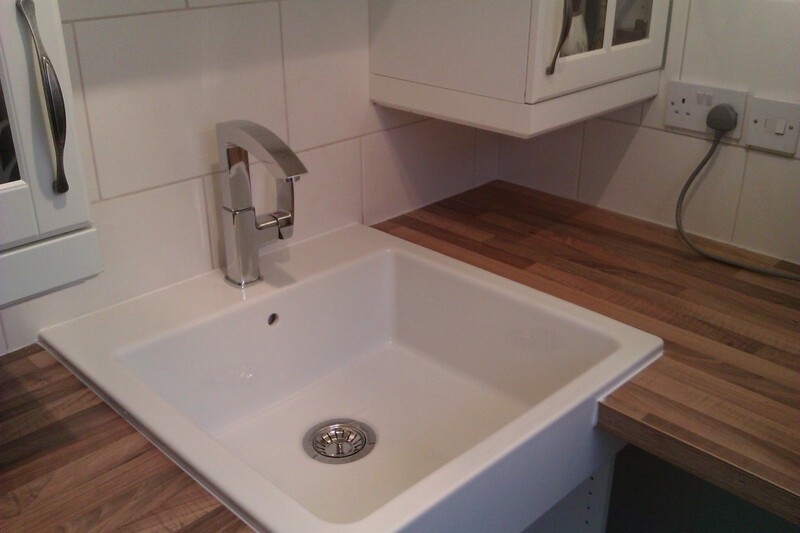 Cupboards underneath the basin are an ideal place to store things out of the way. Repairs to the wall and tiles behind a wall hung WC. The replaced tiles were a good match with the original ones!